GUATEMALA CITY – U.S. Vice President Joe Biden warned Friday that Central American nations had a “responsibility” to work with Washington to stem a surge of thousands of illegal child migrants into the United States. Biden issued his blunt call to action in Guatemala as the White House announced new measures to speed up deportations of the illegal child migrants, amid a row with Republicans that has further dashed dimming hopes of passing a new immigration reform law. Biden argued the tide of thousands of child migrants from countries including Guatemala and Honduras, through Mexico and then across the southern U.S. border, was prompted by poverty, insecurity and the lack of the rule of law in their home countries. Such comments were sure to have irked the likes of Pérez Molina, who has put the problem down to Washington’s failure for years to pass immigration reform, to update entry procedures and to provide a path to citizenship for 12 million illegal immigrants. Biden leavened his remarks by saying he understood the “burdens” the flow of immigrants had placed on Guatemala. But he was forceful in arguing that the root cause of the problem lay in Central American nations. “This is a serious humanitarian issue standing alone all by itself, and … it is a fundamentally shared problem for the United States, Mexico, and this entire region,” Biden said. In Washington, a group of lawmakers simultaneously proposed a program to boost Central American security that would cost between $130 million and $230 million to stem the tide of undocumented migrants. The White House said the U.S. government would step up enforcement resources to hold and process children and adults who bring them into the country illegally. Hearings will be held “as quickly and efficiently as possible while also protecting those who are seeking asylum” to allow U.S. Customs and Immigration officers to return unlawful migrants to their own countries as soon as possible, it added. Between October 2013 and the end of May 2014, U.S. border officials intercepted more than 47,000 unaccompanied minors trying to illegally enter the United States, almost twice the number registered between October 2012 and the end of September 2013. Guatemala says around 1,550 of its emigrant children are currently in shelters in Texas and Arizona. The White House also said that it would provide $9.6 million to help Central American governments reintegrate repatriated citizens. In a call with Honduran President Juan Orlando Hernández on Friday, Biden stressed that migrants who arrive to the United States without the proper paperwork will not qualify for a reprieve or for legalization under immigration reform measures currently before Congress. Honduras said Wednesday it was preparing to receive around 13 undocumented migrant children detained in the United States and Mexico. 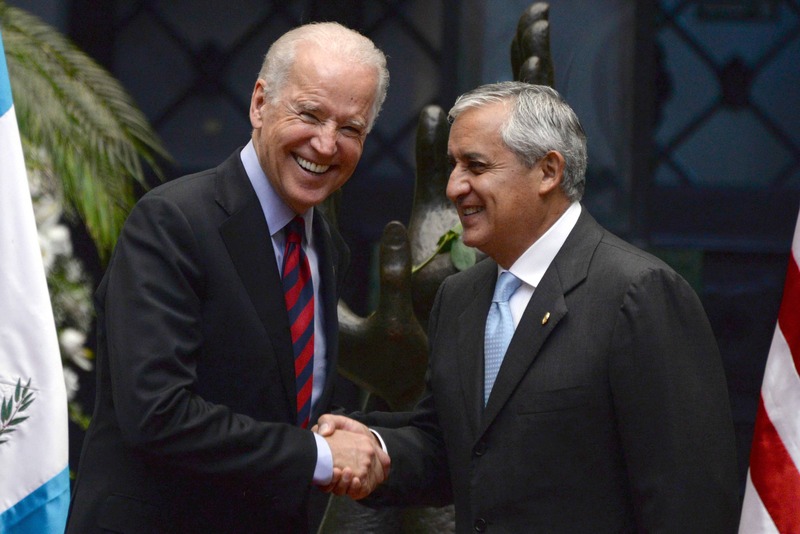 Biden was also meeting Salvador President Salvador Sánchez Cerén, Mexican Interior Secretary Miguel Ángel Osorio Chong and a senior representative from Honduras’ government to develop proposals to stem the flow of unlawful migration, the White House said. U.S. President Barack Obama on Thursday spoke with his Mexican counterpart Enrique Peña Nieto on the eve of the talks to discuss a “regional strategy” to tackle the mass migrations of minors. The flow of child migrants has injected fresh toxin into the debate over immigration reform, which has passed the U.S. Senate but is stuck in the Republican-run House of Representatives. Conservatives, many of whom see the plan as tantamount to amnesty for illegal immigrants, see the latest crisis as proof that the Obama administration is not committed to properly enforcing laws already on the books. House Speaker John Boehner wrote to Obama on Friday and demanded that National Guard reserve troops be placed on the southern border to halt the migrant flow. “The policies of your administration have directly resulted in the belief by these immigrants that once they reach U.S. soil, they will be able to stay here indefinitely,” Boehner wrote.